Rieker Brighton are looking for a new team member – is this the perfect job for you? 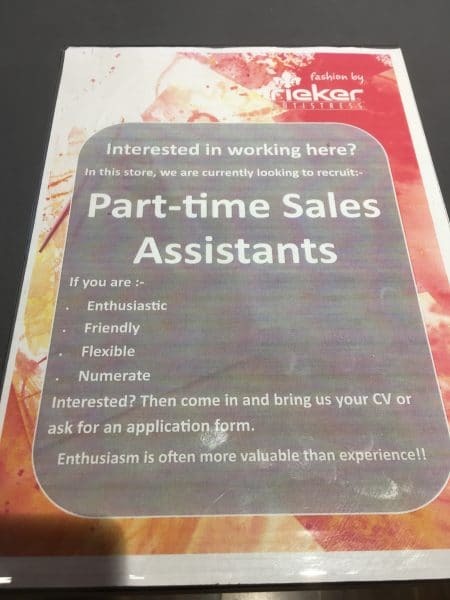 An exciting vacancy has arisen at Rieker Brighton, for a part time sales assistant. If you’re enthusiastic, friendly, flexible and looking for a part time role, take your CV (or pick up an application form) from Sue and the team at 3-4 Market Street.